Strobe Cosmetics is launching their adorable new Creepy Cute Eyeshadow Palette on Tuesday, 2.27! 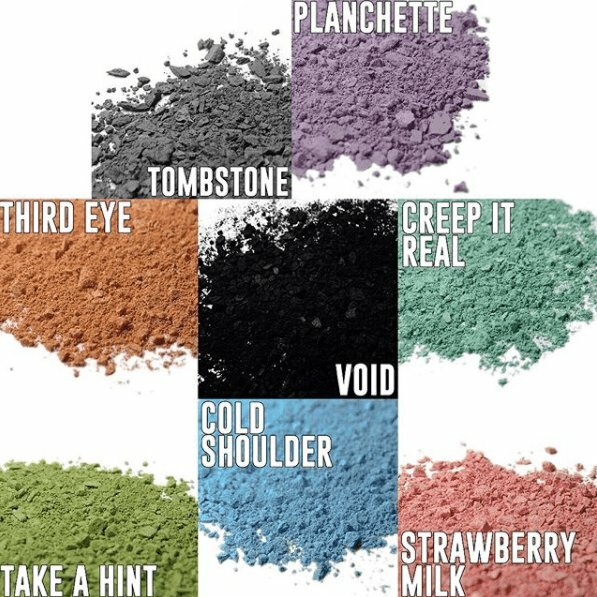 The palette will feature 8 SUPER pigmented shades for $35; Tombstone, Planchette, Creep It Real, Cold Shoulder, Strawberry Milk, Take a Hint, Void, & Third Eye. The most noteworthy quality that jumps out about this palette is just how vibrant these matte shades are! This is the first time we’ve written about Strobe Cosmetics, which is always super exciting for us! 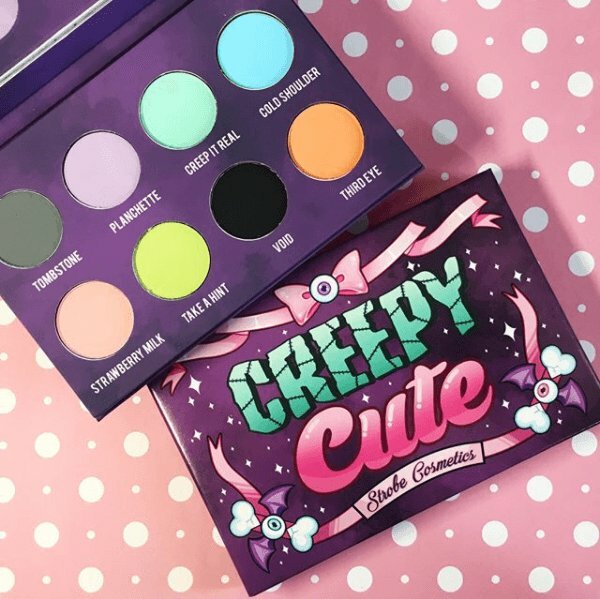 We are still not sure what’s the deal with the palette name… Creepy Cute? Is that some kind of reference we are missing? This isn’t really creepy at all but it sure is cute! 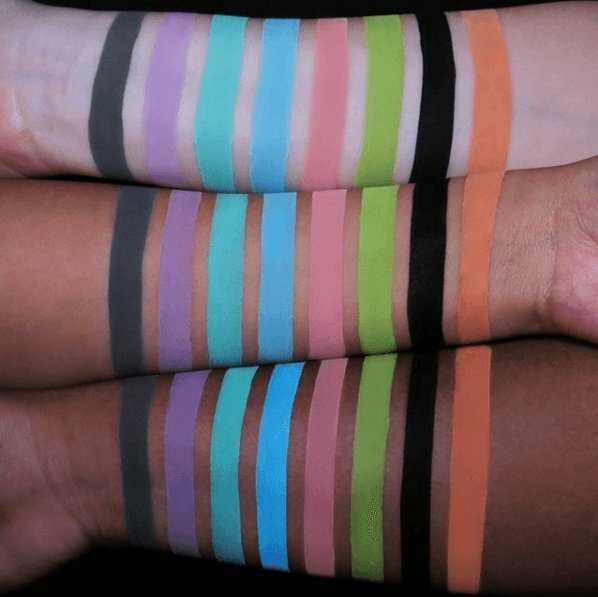 The swatches say it all: these are super creamy, veryyyyyyy pigmented, all matte shades. They are bold and daring and fierce and fun and everything we imagine a spring palette to be! This has us thinking Easter and summertime and all of those warm, yummy thoughts! We do, however, totally wish there was a shimmer shade or two. We have a hard time getting down with all matte palettes because, in reality, we never wear all matte eye looks and dipping into a second palette isn’t the most convenient. We also kinda aren’t obsessed with the packaging. It’s a little strange and childish and almost Halloween-esque, am I right?? I have so many mixed thoughts on this palette! What do you think?? Aimed at Pastel Goths from the look of the packaging …. thus “Creepy Cute” as the name.